OK, I hold my hands up - these are not real pebbles. 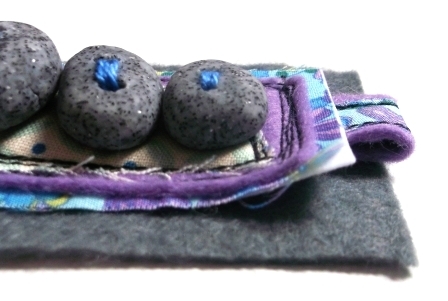 They're made from polymer clay (Fimo or similar) and if you'd like to make some pebble buttons for this project, it's really easy - the instructions are here. 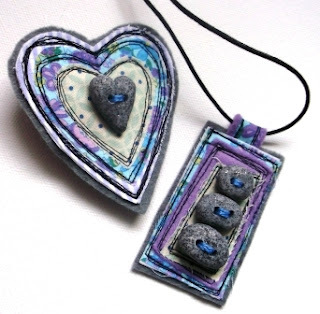 You could make the pendant and brooch multi-colour to match pretty much everything or just in colours you wear a lot of. 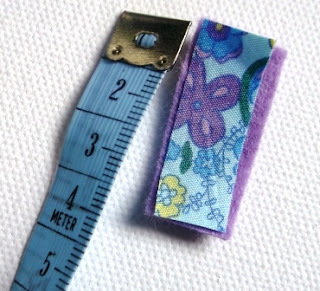 Whatever you decide, this is something that can be made mostly from tiny scraps. 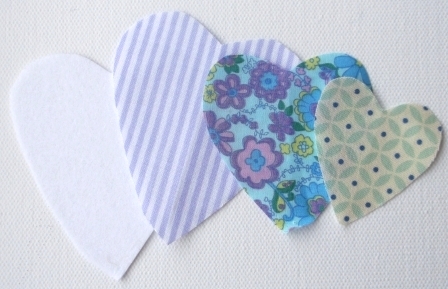 Cut out three basic shapes - hearts are good, but they could really be any shape you like. Also cut interfacing to back the largest of the three. The eagle-eyed will have spotted there are four layers in the finished items - we'll get to the felt backing later. 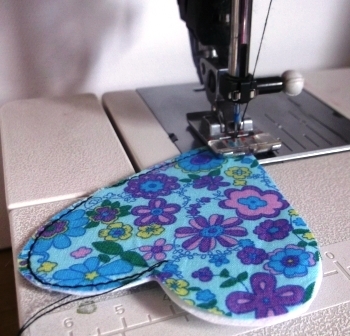 Sew the pieces together, starting with the largest and the interfacing. Stitch using a straight stitch and black thread. Sew several times round for the sketchy look. Carry on until the hearts are sewn together, layering them. Sew the pebble button in the middle. 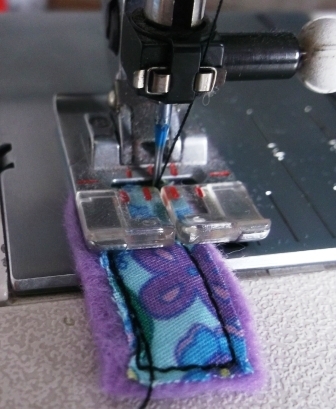 Sew the fabric backing on. 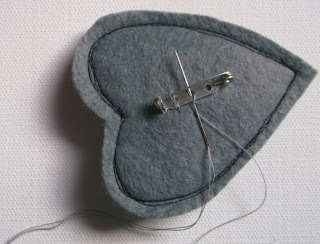 Trim it so it's just slightly larger all round than the main heart. 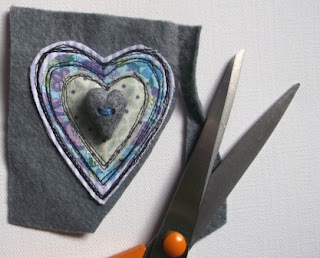 Sew a brooch pin on the back. To make the necklace, the process is exactly the same, but with different shapes and more pebbles, until you get to the backing. 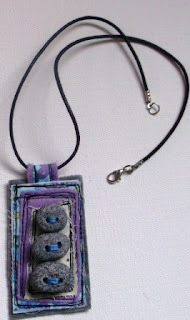 Fold the stitched rectangle in half so it makes a loop and insert it between your necklace and its backing. Thread a readymade necklace thong into the loop, or use ribbon, plaited embroidery floss, or a chain. And if you don't want pebbles, or can't be bothered making them - then buttons may be more your thing! If you were confused because my largest shape was the flowery one earlier, that's because I changed my mind about the colours mid-make - which is why I have this second brooch! I could see this becoming addictive! EiΝαι παρα πολυ όμορφες οι καρφιτσουλες σου!!? It,s a wonderful idea!! !Congrats,and thank you,for sharing!! Thanks for this great tute featuring my favorite material combo, fiber and PC. Now even more folks will enjoy, Wendy!